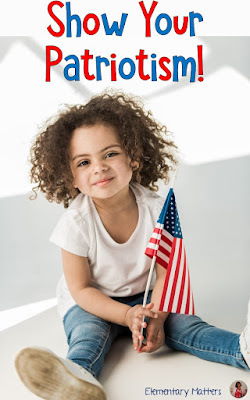 I'm sitting here watching the annual 4th of July Boston Pops Concert and swelling with pride for my country. It seems these concerts just keep getting better and better! Back in the old days, we used to drive down to Boston, spend all day saving our spots on the Esplande, then watch the concert live. The traffic and crowds never bothered us, it was always worth it! Nowadays I sit in my living room and watch on TV. It's not quite as exciting as watching it live, but it sure is more convenient! 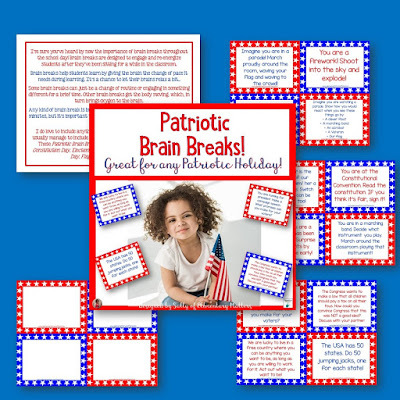 In honor of the holiday, I've created some brain breaks with a patriotic theme. I do love to include anything the kids are learning as brain breaks. I usually manage to include seasonal or holiday brain breaks when I can. 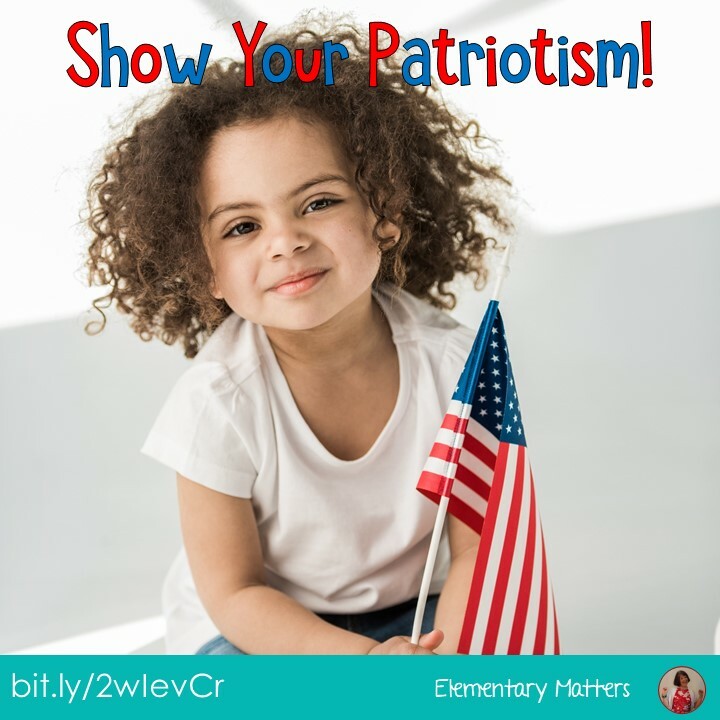 These Patriotic Brain Breaks can be used for any Patriotic holiday: Constitution Day, Veterans Day, Presidents Day, Memorial Day, Flag Day, or Independence Day! 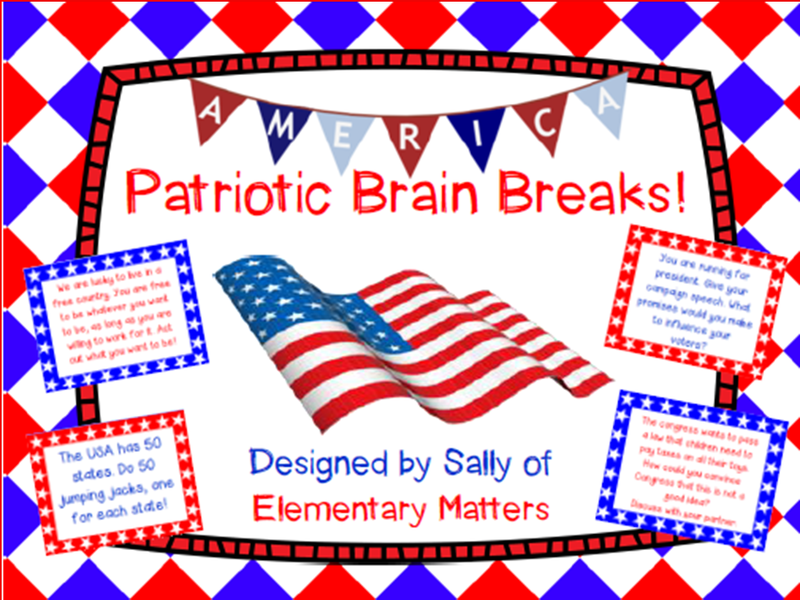 Click the image or click here to download your freebie: Patriotic Brain Breaks! Thanks for linking up, please come back later today because you are my featured blogger! Yay! Thanks Fern! That's one of my favorite freebies! I like these ideas for Brain Breaks. Our first graders have a social studies unit about Patriotic Symbols and these would fit right in.